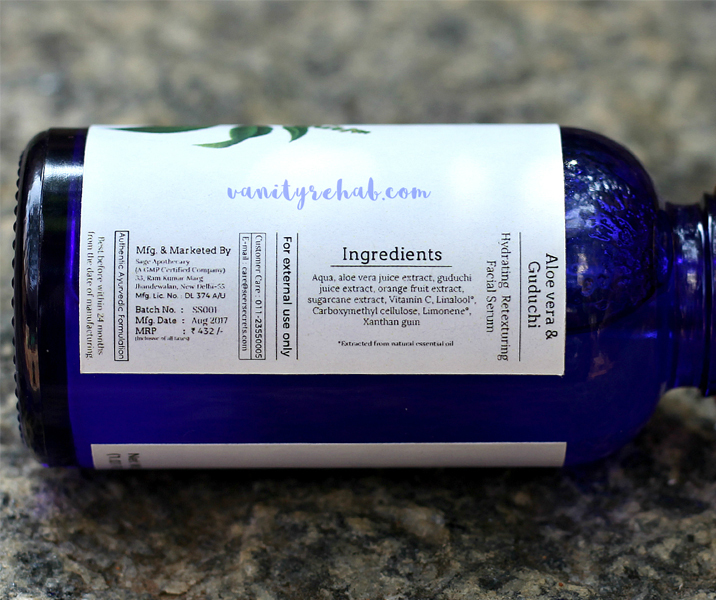 Vanity Rehab: Review: Seer Secrets Aloe vera & Guduchi Hydrating Retexturing Facial Serum Review. 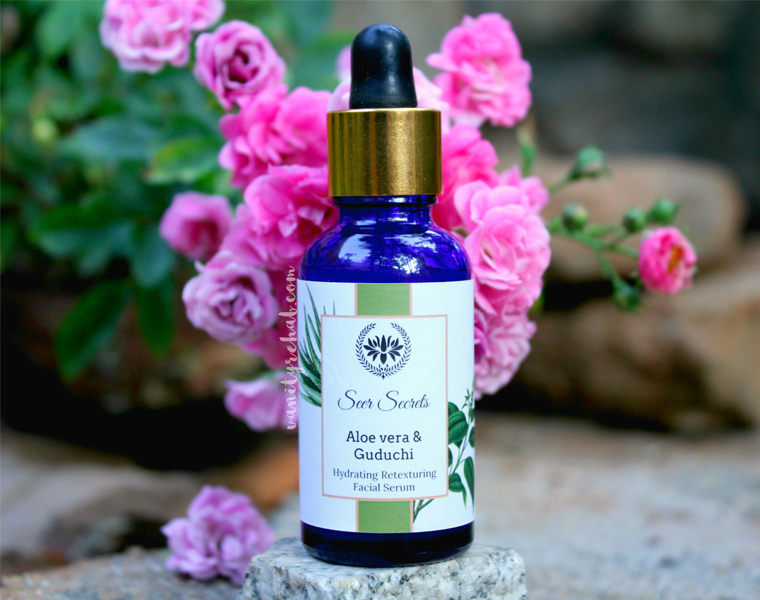 Review: Seer Secrets Aloe vera & Guduchi Hydrating Retexturing Facial Serum Review. 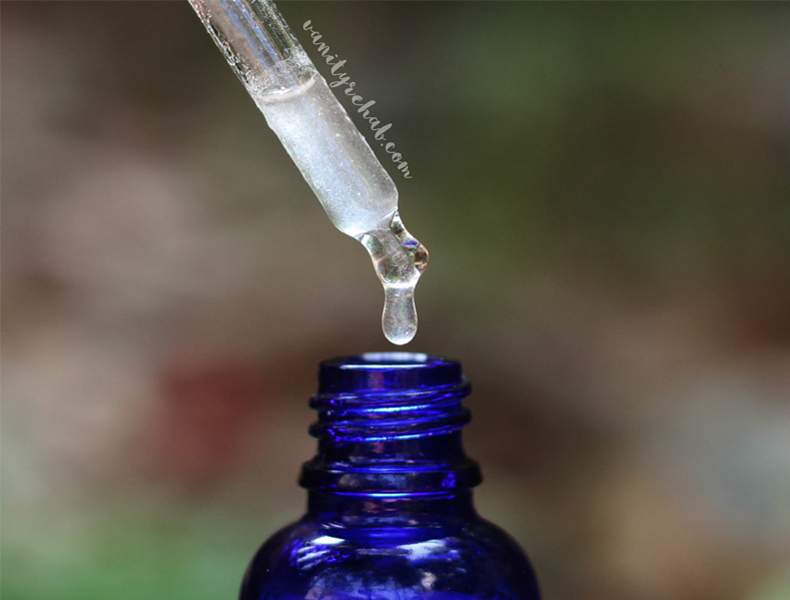 Seer Secrets Aloe vera & Guduchi Hydrating Retexturing Facial Serum Review. Texture: Slightly thick and cloudy fluid. My skin being acne prone, i was never really keen on using Natural serums because, they are usually oil based. But, this Aloe vera & Guduchi Hydrating Retexturing Facial Serum from seer secrets is water based. It is very simple to use and gets absorbed in seconds. Just smooth on 3-4 drops of this serum, let it absorb a little, finish with a moisturizer and you are good to go. The first time i used it, i woke up with a baby-but* smooth skin the next day. I just couldn't believe how insanely smooth it was! Not just that, but my skin had a glow which can not go unnoticed. After using it for nearly 2 months, i can just say one word: Ahhhhhh-Maaaaaaa-ZZZZZZing! *Since i currently do not have acne or any pigmentation, i do not know how it helps with those issues. But, one thing i can say for sure is at least it won't aggravate the acne problem since it does not contain silicone or any other acne aggravants. It has skin healing ingredients which might help with pollution affected skin. *Also, be careful near the eyes and the nose. Under any circumstances, do not let it touch the sensitive under eye area and the inner edge of the nostril. I will seriously sting/irritate rhose areas. So, be careful. And, Caution: It stings/irritates a little/almost bad on Sensitive/Abraded/Dry skin types. Only for a few seconds though. So, if you can stand that, this product might prove miraculous for you too. And also, since it has so much vitamin C, if you are wearing it in the day time, don't forget to apply an SPF based moisturizer or a sunscreen. Final words: At 432/- INR, This product is a 'Genie that popped out of Seer Secrets ka chirag'. *You can get it for 399/- INR from their Amazon.in store. Seer Secrets Aloe vera & Guduchi Hydrating Retexturing Facial Serum Rating: 5/5. P.S: It lasted me two months because i used it mostly before bed and rarely during day time. So, if you use it twice day, it might last less. P.P.S: This is my First Review after my comeback from the 6 month break. From now i am going to review in this format where i shall jump straight to the review without any other details of the product. I shall also mostly keep it as short as possible. So, let me know your views on this decision of mine.